Back-to-School Must-Haves! – Trust Me, It's Fashion! Hey guys! Who needs some help freshening up their wardrobe with a few trendy pieces before school starts? If so, I’m here to help! Here’s a list of back to school essentials to help you get your wardrobe on its feet! The clunkier, the better! Really any brand is fine, but I just got a pair of Skechers D’Lites Fresh Start in White Silver. But honestly if you don’t want to spend crazy money on trendy shoes, go to Walmart. Nobody will know the difference! This is one piece that will transition right into fall and can be paired with shorts, jeans, skirts, you name it. Definitely a basic to get your hands on! And a great way to transition a piece like the thermal henley into fall is by throwing a jacket over it. Whether it’s a cargo, bomber, or a leather jacket, you’ll need something to layer with! But make sure you have something other than denim! I’ll always love a good denim jacket, but wearing one everyday is unfortunately not on trend this year. Expand your horizons a little! Let’s be honest, guys. Wearing a dress makes people think you’re trying. 100% of the time. So I like to use this to my advantage. Find dresses that are 1) comfortable and 2) incredibly simple to style. I love t-shirt dresses paired with sneakers, personally. And most comfy dresses will (again) transition right into fall by adding a jacket or some tights. I know it sounds strange, but go with me here. These are going to be THE most stylish item of the new school year. Paired with a grungy band shirt, your new fall jacket, and white kicks, and you’re suddenly in the running for best dressed. I’ll link a pair below, but honestly the best way to get these is by thrifiting. These were super popular with working women 5-10 years ago, so every thrift shop I’ve been in has been fully stocked with awesome dress pants. Give it a try! I hate break it to you ladies, but ripped jeans are basically out! Tragic, I know. 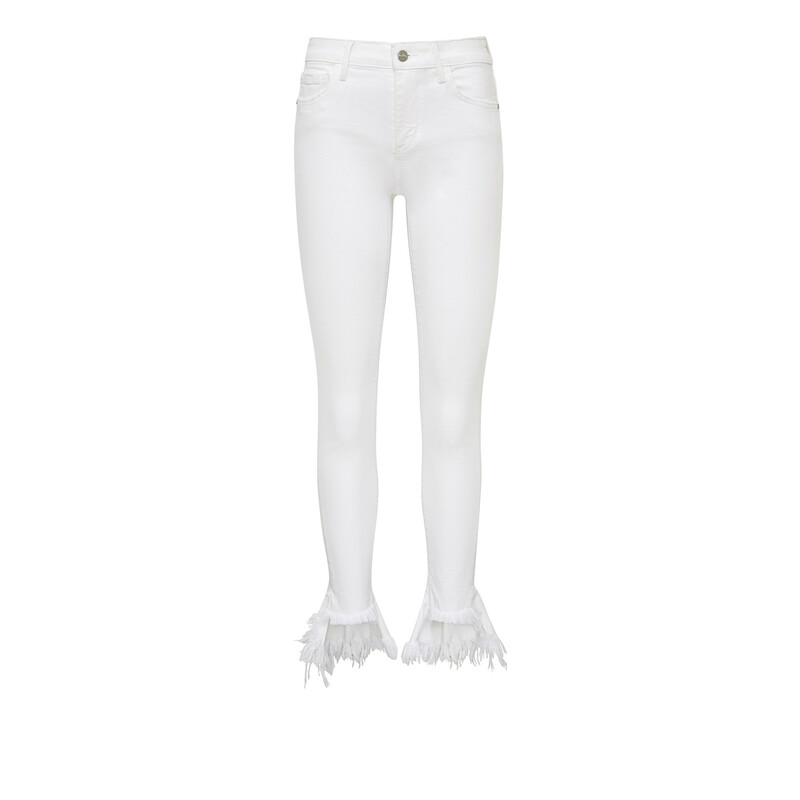 Instead, get a few pairs of jeans with a frayed hem. Frayed is the new ripped, I’m a-frayed. HA. Forgive me for that pun; here are the jeans. And that’s a wrap! Happy Shopping! P.S. Which of these trends are you going to try? Comment Below!